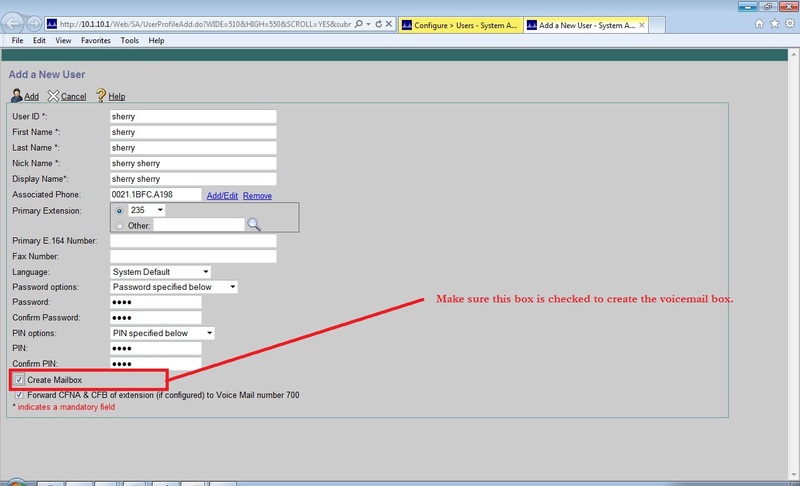 So CUE is not very hard at all, but I thought Id post on how to create a user and voicemail box for someone. First, we add a user. 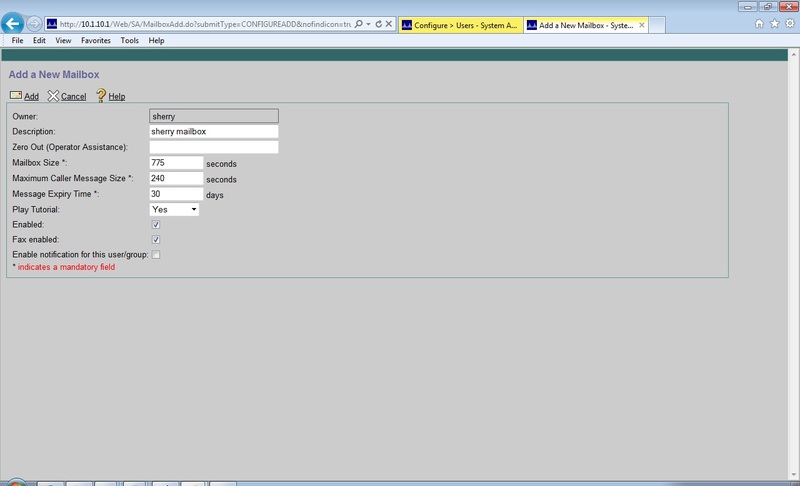 Fill in the appropriate information like userID, name, extension, phone, passwords, etc. 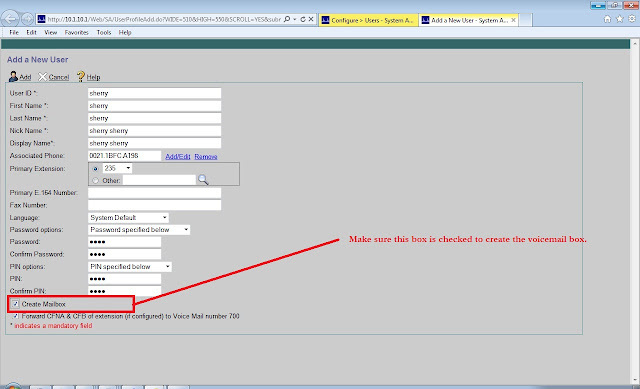 Then configure the mailbox options.